Returning to sources, with such a novel as Jane Eyre, means first of all exploring what surrounded its creation. Victorian England, Yorkshire, Haworth or the parsonage may all be apprehended as fundamental to the novel, and examining their importance may lead to a better understanding of the thematic background of the text. 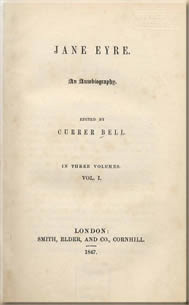 Other elements in the genesis of the novel equally deserve our attention: the collective reading at the parsonage, allowing each sister to use the other two as touchstones to test the quality of her writing, Charlotte Brontë’s involvement in the publication of the three sisters’ works, or the energy she spent writing Jane Eyre in only a few months, while her first novel wound its way from publisher to publisher and kept being rejected. The context sheds a precious light on the novel and also functions as a background against which the originality and timelessness of Jane Eyre may be traced. The text itself, because of its uniqueness and also the way it merges History with its story, has been the object of many readings, from feminist to Marxist, from psychoanalytical to structuralist, and so on। It is true that the novel is very fertile ground for critical discourse and offers an invitation to react, to comment or to decipher. The fields of investigation are as wide as the text itself, wider even, if one considers the importance of intertextuality (Bunyan, fairytales…) and of all the other art forms that punctuate the text (like painting or folklore), incessantly enabling it to transcend itself. Reexamining Jane Eyre also means reading its sequels and rewritings, considering Charlotte Brontë’s text as an urtext, an original text founding an artistic continuation. New connections may then be discovered between Jane Eyre and Wide Sargasso Sea. The notion of quotation in works published afterwards may be of interest in a context of dissemination of Jane Eyre, as well as a study of adaptations for stage, screen or television, or of the illustrated versions of the novel that have been released so far. 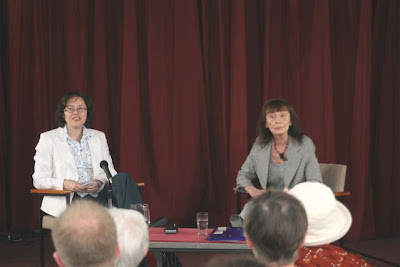 On the Tuesday (10 June) of the annual June weekend of the Brontë Society, a reading from Charlotte Brontë's letters took place in St James's church hall. Readers were Robert Barnard and the organiser of the day's events, Angela Crow-Woods. There were more readings after this, from Brontë poems, with commentaries, from Catherine and Ian Emberson, whose home page can be found here. Later, there was a walk around the village. Of course, there was a significant pause outside the birthplace, which was sold in an auction last year to a London property developer. It is empty, but has, apparently, been "damp-proofed and repainted" inside. The tiny patch of garden at the front had been hastily dug over, unearthed bulbs on the surface. Pictured above - a page from the register in the church, the well-kept ruins of the Old Bell Chapel, the old bell itself and the birthplace. The current Poet Laureate, Andrew Motion, read from his work in Haworth not so long ago. Now the next one (a good bet) will be at the West Lane Baptist Church on Friday 20 June at 7.30 pm. Make every effort to be there! 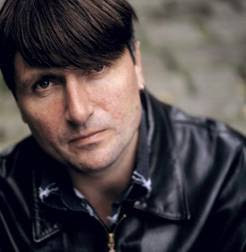 Simon Armitage has published ten volumes of poetry, for which he has won numerous awards, including a Forward Prize, Eric Gregory Award, and a Lannan Award, in addition to being shortlisted for the T. S. Eliot Prize and Whitbread Poetry Award. His Selected Poems was published in 2001, and his latest collection is Tyrannosaurus versus the Corduroy Kid (2006). 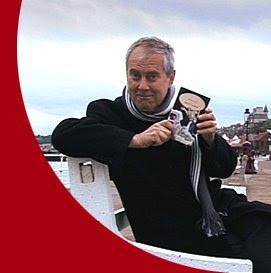 Simon is also the author of All Points North (1998), and two novels - Little Green Man and The White Stuff. He has recently published Gig: The Life and Times of a Rock-star Fantasist (2008). This Saturday, the current President of the Brontë Society, Rebecca Fraser, chaired the Annual General Meeting for the last time. A popular and approachable figure at the annual June Weekends for the past seven years, she has now stepped down. It was announced that Brontë Society Council has just invited the actor, entertainer, ex-MP and television presenter Gyles Brandreth to be the new president, and that he has accepted. He can be seen in various BBC online videos, for example this one from The One Show. She began with a focus on the fact that Emily Brontë is sometimes referred to in various terms as a ‘one-off’, a lone genius who lived in a kind of “rustic ignorance”. “Emily chose Scott as her hero at the age of nine….there is plenty of evidence in the Juvenilia,” we were told. “She was sharply aware of literary tradition." The seven bairns stood wi’ the tear in their ee. She up wi’ her foot, and she kicked them out. 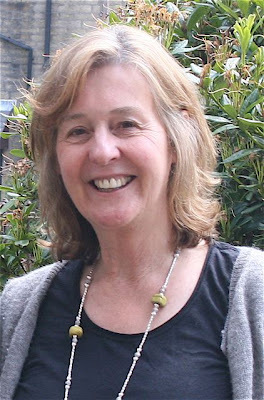 With further examples, Heather Glen talked about the ‘leaping and lingering’ techniques which are common to ballads and to Wuthering Heights, where the lingering is on climactic scenes, and there are echoes……think of the first Cathy ‘captured’ until she is well at Thrushcross Grange and the second Cathy held at Wuthering Heights. The rude, uncivilised world is perceived with the ‘protection’ of glosses, explanations……..and books. What does Lockwood pile against the window when the terrifying child ghost tries to get in? 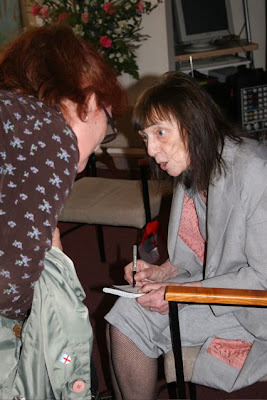 Beryl Bainbridge started off the annual June Weekend today, talking to a large audience of Brontë Society members in the West Lane Baptist Church. She was asked questions by Anne-Marie Sanchez, and finished by reading from her latest, unfinished, novel, provisionally entitled The Girl in the Polka-dot dress. It is set at about the time of the assassination of Bobby Kennedy, allegedly by Sirhan Sirhan, but it is not a straightforward matter in this version, as might be expected. After talking about events in her childhood and the ways they have entered her fiction, she spoke about her admiration for the Brontës ("they wrote such jolly good stories") and explained why she was writing mainly historical novels at the moment ("because I've now written everything I can about my childhood.......but I still get into my novels....I still put in things from my past..") and revealed that four months is her normal gestation period. "There's no need to make anything up - ever," was her parting message. Tomorrow's events include a lecture by Heather Glen, a church service, the AGM and a panel discussion.